Windows 8.1 - Would it be Better than Windows 8.0? You are here: Home > Reviews > Product Reviews > Windows 8.1 – Would it be Better than Windows 8.0? 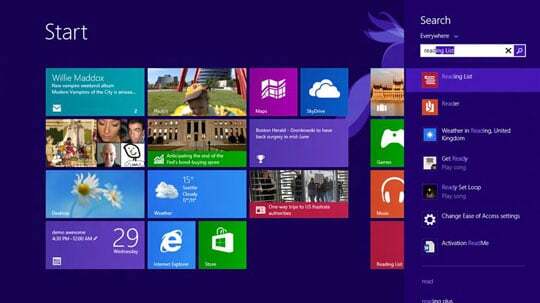 Windows 8.1 – Would it be Better than Windows 8.0? Introduction (Windows 8.1): In a FMCG (Fast Moving Consumer Goods) scenario no manufacturer/producer/marketer of the products can accurately guess the responses of ‘all’ the users. It is like a caterer trying to appease every tongue, which is highly impossible. There shall be voices that go out against the hard work or the best product and if these voices are strong enough to find their audience in the noisy world, they can blow the lid off the companies. Ironically every company feels & boasts about its new launches as better than the previous. Their brochures are filled with poetry and the official websites present the stunning, HD pictures of the product with all its gleams. But when their efforts are treated with humility, companies are left with no option but to resort in to rebuttals. Of late, Microsoft is going through this ordeal of extreme criticism and stern rebuttal and the product in question is its Windows 8.1 the newest windows from the Gates’ company! Microsoft made a claim that it has effected 10,000 changes in Windows OS platform and those efforts have resulted in building windows 8. But some critics were not soft at all on Microsoft’s Windows 8.0 OS since its release in October, 2012. The fresh announcement from Microsoft about release of Windows 8.1 has been received by the critics as ‘admission of failures committed in Windows 8.’ They are questioning the rationale behind releasing the windows 8 upgrade so soon. Keeping these intellectual and logical debates aside, a sneak peek of Windows 8.1 may put us in a better position to draw the impartial comparison between Win 8 and Win 8.1 by ourselves. What is New in Windows 8.1? Microsoft wanted to call this upgrade as ‘Blue’ but later changed the code name to Windows 8.1. A preview of this product that was made available during last week of March, 2013 showed that the Windows 8.1 has undergone lot of tweaking than the anticipated. The first striking came from the ‘Start’ button which was rather obscurely placed in Windows 8. Actually, the misplacement of Start button in Windows 8 has drawn less criticism than its reappearance in Windows 8.1. One leading newspaper attacked Microsoft that “restoration of Start will not restore the lost glory of Microsoft.” Anyhow, it is nice to see that the most favored iconic feature of Windows has finally made a comeback. Having Windows 8.1 running you can still activate the webcam to take pictures while the PC is locked. You can connect over Skype to receive calls. Admittedly, these are some cool features that are not available in Windows 8. 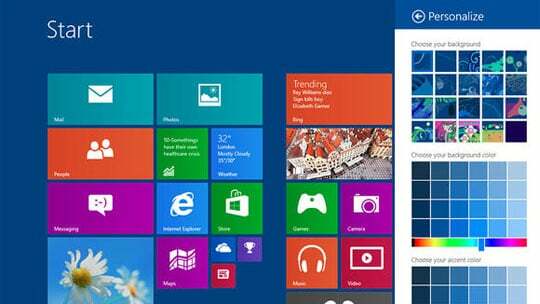 Windows 8 was attacked for the automatic pinning of apps to Start Menu without considering user’s choice. Microsoft seems to be made a note of the censure of ‘unexpected pinning’ and so the automatic pinning of apps has been abolished in Windows 8.1. Selection and arrangement of apps on the Start Screen has been left to the user and thus Windows 8.1 because all the apps, by default, sit in All Apps folder and from there they can be pinned to the Start Screen. Personalization of the backgrounds & Start Screen has been eased a lot with jarring the smooth transition between them. Another striking feature is the animated small and large live tiles that show up on the Start Screen. It appears that Microsoft has borrowed this idea from its own Windows Phone 8 mobile platform. These tiles have been greatly optimized in size as compared to the ones that appear on Windows 8 start screen and the performance too has been improvised significantly. Expanded view of snaps could become the crow puller. Unlike in Windows 8, the expanded snap view of Windows 8.1 automatically adjusts the window size as per the importance of the app opened by the user. For example, if a user opens mail client like Microsoft outlook while surfing the net, mail window would be shown in bigger size. Subsequently, if the user opens a photo, either from net or from mail, photo app would be shown in slightly bigger window than the others. The Microsoft’s very own search engine Bing has been deeply integrated with Windows 8.1 whereby uses can use single search feature for their PC, apps, internet, settings and files. Users are not allowed to change the default search from Bing to any other engine like Google. Microsoft officials have described that the integration of powerful Bing in Windows 8.1 “is just the beginning” of an exciting future. “Everything in Windows 8.1 is now powered by cloud” is what Microsoft has stated while commenting on the SkyDrive’s integration with the new OS. 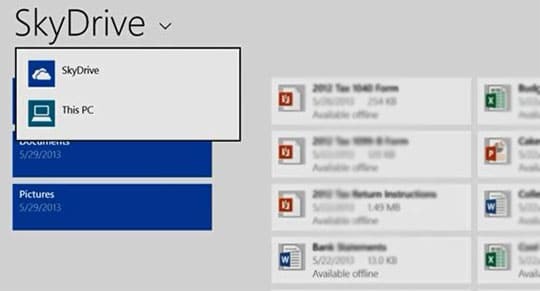 Users need not to look for any additional tool to integrate SkyDrive but it is automatically configured when they install windows. The entire history of the settings, apps and their info are now stored in SkyDrive thus relieving the local PC from the burden storing huge quantities of system data. Internet Explorer 11 would be the default web browser in Windows 8.1 and it comes with new features like the tabs placed at the bottom and creation of own live tiles which can be pinned to the Start Screen. Another attractive feature is the smooth synchronization of IE with Windows Phone by which users can load the last used tabs in any of the connected devices. Many other functions like camera app with built-in Photosynth feature, Reading List feature where bookmarks can be stored, updates from news, business, sports etc. It looks like Windows 8.1 has undergone lot of tweaking and each tweak was successful enough to convert the vices of Windows 8.0 in to virtues. I am happy with Windows 8 and will NOT be upgrading(if that’s what you want to call it) to Windows 8.1. So Microsoft, Quit bugging me!! 8 months is a very suitable amount of time for Microsoft to upgrade windows 8 to 8.1 . If Microsoft could upgrade windows 8.1 to 8.2 as fast as possible , it would not be a failure but a milestone for this company. This could be the chance for Microsoft to say sorry for Windows 8.0, which was more like a frustration after a major step-forward Windows 7.0 did. Honestly, if they want people to buy it, they should name it Windows 9.0 instead of 8.1.